with an isolated, haunted mansion, rocking chairs, beheaded dolls, random screams, mysterious deaths, untold secrets, dangerous silence, suspiciously-hostile locals, a hallucination sequence and horrifying consequences. A few eyebrows were raised when Daniel Radcliffe was announced as the leading man; other than the Harry Potter franchise he had only done one drama called The December Boys. Let’s start by saying Radcliffe is amazing: his performance is captivating. A lot of the film focuses on his character alone in a haunted mansion and he manages to hold your attention throughout. Radcliff plays Arthur Kipps, a down on his luck, London-based solicitor who is given a career-saving assignment by his firm. The young widower leaves his 4-year-old son in London and travels to a remote town to settle the affairs of the late Mrs. Alice Drablow. Arthur doesn’t receive a warm welcome from the villagers, whom clearly don’t want him there. He unlocks the huge mansion as well as a few horrifying secrets that lay buried on the land. 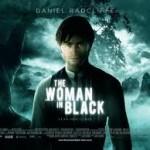 Apparently younger audiences haven’t taken to kindly to this and it’s easy to see why: The Woman in Black has a slow and steady build-up so those expecting to see something akin to Saw 27 will be bitterly disappointed. The director, James Watkins, establishes the haunting mood of the story effortlessly. Some of the scenes can seem a little repetitive but the climax is all the better for it. 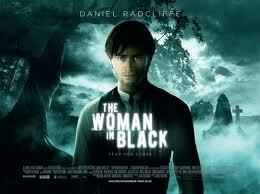 See also our review of the Woman in Black soundtrack.